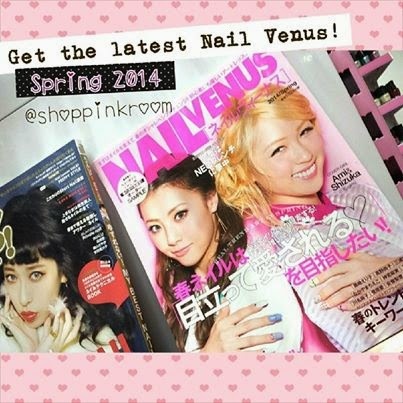 PINK ROOM FEATURE IN NAIL ネイルUP! Firstly, my heart was so full with pride when Japan's popular NAIL ネイルUP! Nail Up Magazine featured us in their Vol. 57 (March issue)! 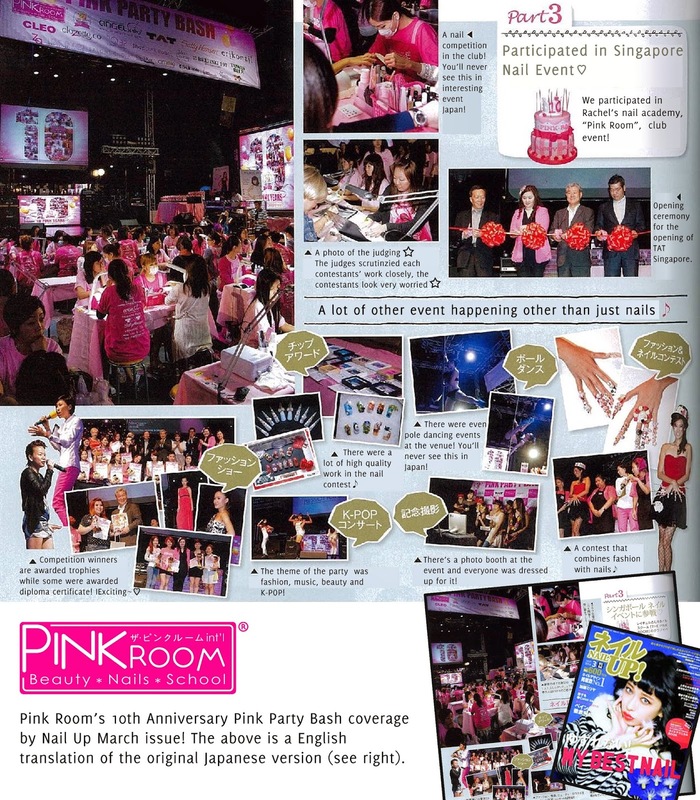 Though I had already known of this coverage as their editorial team flew down to Pink Room's 10th Anniversary Pink Party Bash, it was truly exciting when I finally have the hard copy of the issue in my hands, reading and drinking in the words that talk about Pink Room & Japan TAT's collaboration... Most touching for me is that Pink Room is in our 10th year, and they covered our Pink Party Bash too!! ♡♡. For those who are interested to see the original Japanese version Nailup, you can now grab a copy at Shoppink Room, located at International Plaza #06-18 (Tanjong Pagar MRT Exit C). 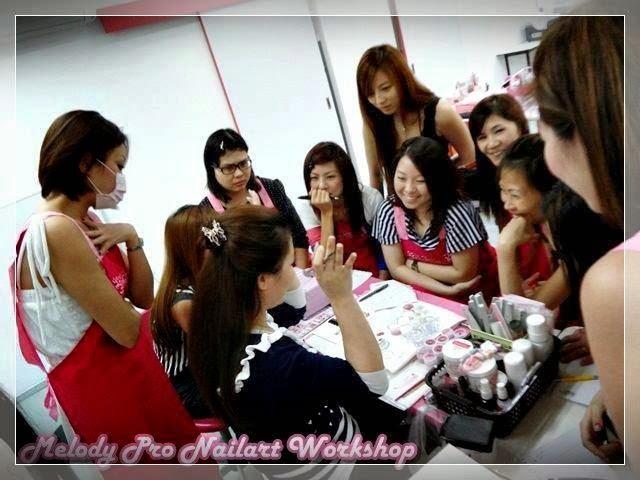 This coming 15th, 16th & 23rd April, 12pm - 6pm, I'll be conducting our most popular Melody Pro Nail Art Class!! I would be teaching many various designs for the kawaii Melody character. With these nail art techniques I taught, you gals would be able to create many many many types of cute Melody nailart with other accessories too!! Ooooh... It's really exciting fun!! In fact, I'm always excited for every seminar, nail class or workshops, because there's so much happy smiling faces, makes learning fun! This is a rather old news but I do want to share it with you guys. I've been in talks with our partners for a very long time before this collaboration is possible; so everyone can now have a copy of all Japan's most popular magazines in Singapore! You can signup for their yearly subscriptions and have the magazines delivered to your doorsteps. This service is only available at the Shoppink Room. I myself have paid and signed up for the yearly subscriptions, I'm really glad for this delivery service, before I had to travel all the way to the shops before able to get a copy. I barely had time to collect my thoughts and March is already coming to an end... I really do hope to get a break soon. 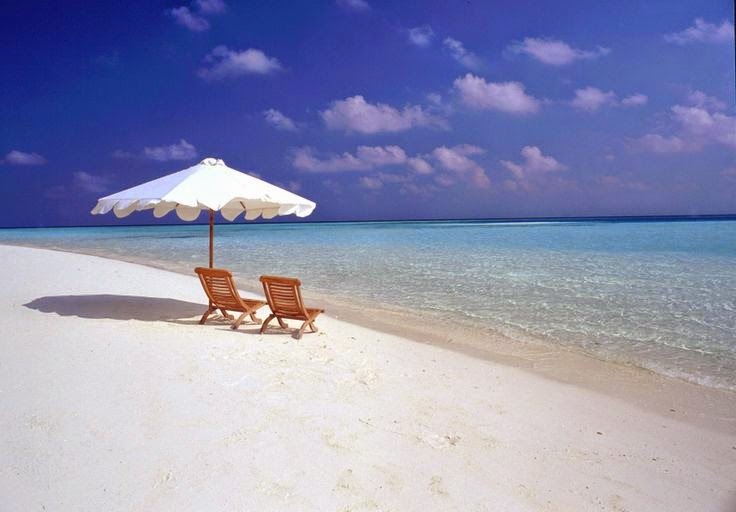 I believe that with amply rest, I can refuel myself and bring Pink room to the next "pink" level. Nevertheless, I love creating more new techniques nailart and sharing this passion with everyone from all over and I will never stop doing this. Previous blog post on NAIL ネイルUP!